Medications like buprenorphine and methadone have revolutionized the treatment of people with opioid use disorder, including those with severe disorders (addiction). By controlling cravings and withdrawal symptoms without producing a high, these medications enable the patient to engage in treatment and make healthier choices while balance is gradually restored in brain circuits involved in reward and self-control. In people with severe disorders, these circuits are greatly disrupted. One of the challenges with all addiction medications, however, is making sure patients adhere to their prescribed regimen. For the medication to be effective, the patient must take their prescription or show up at the clinic on a daily basis. This can be challenging for anyone managing life’s responsibilities, especially in times of stress. Failing at this challenge can mean relapse, which can delay recovery. Today brings a new ray of hope for many people with opioid use disorder, with the eagerly awaited FDA approval of a long-acting buprenorphine implant called Probuphine. 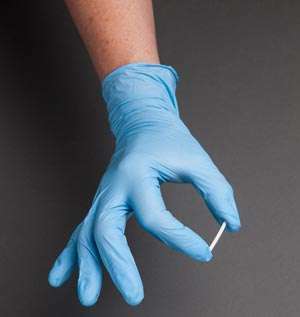 This subdermal (under the skin) implant delivers a constant low dose of buprenorphine over a six-month time span, the first such tool in the treatment of opioid use disorder. The implant is approved for individuals with opioid dependence who have already been treated with, and are medically stable on, existing orally absorbed buprenorphine formulations. It thus gives physicians a valuable new therapeutic tool for this subset of patients. Buprenorphine, which in numerous studies has been shown to significantly improve outcomes for patients, has previously only been available in products that must be taken daily. The Probuphine implant, created by marrying buprenorphine to a polymer, delivers the drug steadily in the body at a low dose, eliminating the need for daily dosing. Buprenorphine, methadone, and depot naltrexone (a long-acting formulation of the opioid antagonist naltrexone)—a group of treatments known as medication-assisted treatments or MAT—have been demonstrated to help patients recover from opioid use disorder, improve their social functioning, and reduce their risks for overdose and for contracting HIV or hepatitis C; buprenorphine and methadone have also been shown to lessen patients’ risk of criminal activity. Although these medications are highly cost-effective and far more successful at preventing relapse and illicit drug use than detoxification followed by abstinence, fewer than half of private treatment programs offer them. In those that do, only 34.4% of patients actually are prescribed them. This is why increasing the adoption of MAT—and overcoming the misconceptions and stigma that have stood in the way of using medications to treat drug addiction—is a central prong of the recently announced HHS and White House initiatives on combating the opioid problem in America. Maintenance medications can make all the difference in supporting a person’s stable recovery. I expect and hope that Probuphine will be a game-changer in how we fight opioid use disorder. NIDA provided funds for early trials of Probuphine’s safety and efficacy. Titan Pharmaceuticals, Inc. and partner Braeburn Pharmaceuticals, which makes the implant, will have information on their websites about the availability of this product. For more information on Probuphine, see http://www.fda.gov/NewsEvents/Newsroom/PressAnnouncements/ucm503719.htm. I applaud the FDA for finally approving Probuphine, as well as the Obama Administration for its efforts in making the much needed shift in policy from a criminal matter to a medical matter. I have never understood why the government wrapped illegal drug dealing and drug addiction into the same category, one is a crime for profit, the other is a medical matter not a criminal matter at all. It is ludicrous to think that incarceration is the answer to drug addiction, look at our prisons, are they drug free? Treating it as a crime has only made things worse. I hope this is a new day in America, and I hope and pray the restriction to 30/100 patient limit for buprenorphine doctors is lifted immediately, it is an urgently needed action as was yesterday's FDA action was urgently needed. This is a great step to the recovery treatments, However, I think that without Psychotherapy, it will not be a true recovery process. I am currently on Suboxone and am considering doing this, I was addicted to narcotics for 25 yrs and then on Methadone for 14 yrs, Now Suboxone, I am just ready to change up to something without any mind altering substance. Thank you for this, God Bless ! I got hooked on Oxycontin in 2001, Since then i ve been to prison 6 times, in and out of detox, in and out of treatment programs, Have worked a thousand steps, what im saying is that theres NOTHING that involves recovery that i have nt tried and completed. I ve been off and on suboxone, Subutex,And Methadone since 2001 and they ve both helped i just made bad decesions and relapsed because of that. I think an implant would be awsome, You would nt have to worry about not having you meds if you screw up and end up incarcerated. Im currently back on Methadone with a new sobriety date, May 7th 2014 and im doin great. My point might be off the subject but i believe its VERY IMPORTANT when it comes to addiction and recovery. Thru all the horrible thangs i ve been thru the past 15 yrs theres one that needs to be addressed its gotten to be so bad that relapse comes quick after so many run ins with it and that"It" is PREJUDICE! How Drs treat people these days that have addiction problems. And when i say Doctors i mean from ANYONE in the medical field from nurses to HELPERS at the pharmacys. I recently had some bad teeth in my mouth that needed pulled so i go to the dentist and being HONEST with him i told him i was an recovering addict and at the time i was on suboxone, I then asked how do they do sedation when they cut out teeth, This man LOST ALL COMPOSURE and called me a heroin addict!! Infront of staff and waiting patients!! I was so embarresed and in shock!! I ve been treated BADLY by other Docs When the reason i was there was LEGIT, Nurses, Pharmacist and people who work with them that have NO DEGREE! Another thing, Now if you have goverment insurance EVERYTHING is linked together now. The doctors at the hospital can review EVERYTHING YOU VE EVER FILLED with dates, EVERYTHING and Vice versa. So if they see you filled suboxone 4 yrs ago and you ve been sober them four years and have nt filled anything but you need to now cause you broke your arm or had surgery on your face they can keep your perscriptions! There has to be someway to change this prejudice for us recovering addicts that are doing well and have our lifes back? Its immoral and down right unethical!! Just because i had a drug problem 10 years ago and i need medical attention NOW, I should nt be judged and not get the right treatments or the right medications right?? Sorry so long keep your heads up and stay strong IT DOES GET EASIER FOR US!!!! I've been associated with many different forms of treatment, in my many years of Addiction, &, Recovery, And Had to have my familly, See me treated as less than "Human" on occasion" .... Abstance,and then the path way to recovery doesn't come without it's sometimes brutal treatment by the medical profession, but many times the answer to that "Stigma" lies in our own hands...ie... MAT, being from now on referred to as MARecovery, not treatment, also trying to understand that many of these people we ask to treat us for other, "Ailments" have very little Education, in relation to "The life Process of Recovery"..... I myself living a life of all around recovery, for a number of years endured the looks, & snears, & coments, but as I kept returning & approaching each new situation with the willingness to include others in my recovery life, ( the dentist, & the treatment doctor),(the surgeon, & operation room staff, & my treatment doctor, establishing communication,) with each other, the "Weight of that Stigma" continues to decrease ... as I remembered that there are many who haven't walked a step in my shoes, & It's My Responsibility to educate then when the time is presented to me.. I had to learn,be taught, who, & what I am, & when I was Right with that I was Able to broaden Horizons for others, And So It Goes !!! I agree with Ram on this one. I am afraid of the physical and psychological dependence on the implant and what will become of the person's "recovery" after long term use of the implant? One problem is that the FDA approves something for use, but it all comes down to the physicians who prescribe it. Last year, Oxycontin was approved for use in children as young as 10 yr old. Why am I bothered by this? because, although there are terminally ill children for whom this Rx may be appropriate, there are also doctors who will prescribe this at the urging of parents. I'm just skeptical, you say? I have seen it happen in my practice. I have been clean and sober for almost 8 years now. If I had been put on a replacement Rx (M.A.T.) then I would probably still be using or dead. My recovery required total abstinence from mood-altering chemicals. I could not work the steps of recovery while under the influence of something blocking my urges. For a period of time (when I couldn't trust myself to get through the day) I lived with my sponsor and attended meetings 2 x per day for many months. I know, I know, you think not everyone can fit this into their life. Recovery became my life, initially and I put my daily maintenance above everything else!! Because, without being clean and sober, nothing else even mattered. I believe in abstinence, and in my practice I have seen clients reliant on M.A.T. so much that they never actually experience 100% recovery. Consider a diabetic client who could die from sugar (carbs, etc), so their doctor tells them "well, just eat one cupcake per day, that should hold you over so you don't have other cravings". I think it is self-defeating, that's all. I have had epilepsy for over 50 yrs. I have been prescribed almost every medication,surgery etc... and nothing has worked. The doctors are stumped and at the point where they are saying try what you want. Vitimans (Calcium and D3 have helped) but I am still having seizures. I continue to loose memory. Ohio where I live has finally legalized medical marijuana but say it will be at least two years before we will be able to get it here we will have to go out of state. This may seem like the next best thing since sliced bread to the user, But you are still an addict in all intensive definitions of the word. Changing one dependency for another is always a recipe for disaster and a long recovery time. There is no magic pill for addiction and there never will be. We need to educate and and offer treatment not fuel the big pharma industry to still be our drug dealers. you can find free treatment for your addiction that works and have an addictionnomore if you want it. Don't be afraid to stop just get to a good detox and be done with this drug addiction cycle that is in need of drug rehab services. This treatment hasl save lives including mine. I think some of those responding have never had an opiod addiction and do not understand the fight between life and death when addicted and chasing pills and a fix. Suboxone saves my life in 2008 and since getting treatment and taking a small dose of subox every day my life and my career have blossomed. Not only am I a productive citizen I hire 1000's of employees that count on our team. No one dies on Suboxone and this new 6 moth treatment will be a good step in the right direction for stable users of subooxone. In reply to the comment at the top regarding it being harder to withdraw from Suboxone than heroin I will never know I hope because there were no withdrawal issues when I started Suboxone and I hope to never stop using Suboxone because I want to continue to enjoy a productive, healthly life. The real problem with suboxone is that it is highly addictive, very difficult to detox from and most importantly if you are ever in a serious medical situation and need surgery the surgical drugs will not work. Try surgery without the benefit of pain relief! Terrifying. Our 25-year-old son became an addict while living away from home. He came home for help after fighting with it for a year, and we went through his process with him using an all-out approach: psychiatrist (and his cadre of drugs), NA, and hard love. It was devastating but here's what we learned. Our son had tried Subz while on his own but he knew they were not the answer. We took him to an addiction psychiatrist who prescribed meds (gabapentin, mirtrazine, naltrexone, and some other one I can't remember) to be taken daily, but these caused their own havoc. He was stupefied. Soon he stopped taking the prescribed drugs, but secretly was using heroin again for a while, til we arranged for the Vivatrol shot. In the end, he had to admit he was using or the shot would've been very dangerous. At that point he finally checked into detox, which he says now was absolutely necessary. He then had 4 weeks of rehab with counseling, where it was determined he'd been depressed before he'd become addicted. Although he was still fairly combative and argumentative, he agreed to try Prozac, which he took less than 3 weeks. In that time it gave him perspective, and he stopped reacting and started thinking more clearly. Once rehab was over we decided to go with his counselor's suggestion of a well-run halfway house in FL, with strict rules and random drug testing. He's been there almost 6 months clean with no relapses. He says now that interim drugs are not the answer. Any substance (alcohol, pot, etc) will be read by the body as a substitute and weaken the resolve. He relies on his NA group and sponsor for strength. He now tries to get plenty of rest, has taken a relatively low-stress job, and is working on recovery from the inside out. We pray he continues. In the meantime I am wondering why there is no celebrity and rock-star event to fund the Study of Addiction for drug-free answers to the brain and its propensity for addiction. When are we going to recognize that ALL addictions are due to the same mechanisms? And when are we going to go public about this disease and talk about it, call for research and fund it like every other disease? In the past there has been successful results using Ibogaine in treating addiction to opioids by Dr. Debra Mash. With opioid addiction at epidemic per portions nationwide why isn't NIDA pursuing Ibogaine research where maintenance drugs would not be necessary? NIDA has funded research on ibogaine (a hallucinogenic shrub from West Africa) as a potential treatment for addiction to opioids and other drugs, but research was abandoned because the plant was found to be neurotoxic in ways that would compromise its safety. NIDA remains interested in related compounds that are less neurotoxic. NIDA. "Probuphine: A Game-Changer in Fighting Opioid Dependence." National Institute on Drug Abuse, 26 May. 2016, https://www.drugabuse.gov/about-nida/noras-blog/2016/05/probuphine-game-changer-in-fighting-opioid-dependence. NIDA. Probuphine: A Game-Changer in Fighting Opioid Dependence. National Institute on Drug Abuse website. https://www.drugabuse.gov/about-nida/noras-blog/2016/05/probuphine-game-changer-in-fighting-opioid-dependence. May 26, 2016.